Dextrose Monohydrate Powder we offer is tested for many features. Some of the important tests are Sp. Rotation, loss on test, drying test, clarity and concentration test. It is mainly white crystalline powder and is free from visible parts. Though not colorless, it is odorless. It can be easily identified with the help of fehling solution, which reduces it on boiling. It is freely soluble in water, boiling water and alcohol. Microbiological analysis is also carried out on it. 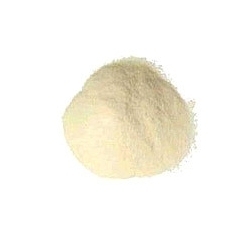 Enriched by an industry experience, we have placed ourselves as an outstanding manufacturer, supplier and exporter of Industrial Starch Derivatives like Maltodextrin Powder, Liquid Glucose, Modified Starch, Dextrose Syrup, Maize Gluten, Corn Starch, Maize Germ. Our manufactured products find their application in areas like medical centers, nursing homes, hospitals and for other medical usage. Clients can avail these products at reasonable prices. To provide superior quality products, we have developed a state-of-the-art infrastructure which is fully equipped with all the efficient machinery. The high production rate of these latest machines enable us to deliver the bulk orders on due time. With a single objective to become a trusted source for all needs of medical and hospitals products, we are regularly putting our unwavering efforts in the business. In addition, we also comprehend the specific requirements of medical sector and meet the same by manufacturing quality products. With the assistance of our efficient professionals, we are able to provide customized solutions and packaging facilities as per their demands to make sure complete satisfaction from the clients. Under the able guidance of our mentor, 'Mr. Sanjeev Rehlan' we have been able to explore new avenues of success. His extensive experience and detailed knowledge in this field, have helped him to make sensible decisions that have confirmed beneficial for our enterprise.